Trinity Industries Inc. has been subpoenaed by the U.S. Justice Department over its allegedly defective guardrail safety system. The subpoena, issued by U.S. Attorney Carmen Ortiz in Boston, seeks documents from 1999 and later regarding Trinity’s guardrail end terminals, which are designed to absorb the impact of a crash, the company said in a regulatory filing. The subpoena, which Trinity said it received on April 28, comes one week after Bloomberg News first reported a federal criminal investigation involving the company’s ET-Plus guardrail system. Trinity intends to cooperate with the subpoena, according to the filing. The focus of the criminal probe isn’t yet clear. Investigators have interviewed potential witnesses about issues including Trinity’s relationship with the Federal Highway Administration, the government agency that signs off on the safety of roadside hardware, according to people familiar with the matter. The Justice Department has also subpoenaed documents from court cases involving the ET-Plus on behalf of a grand jury, according to one of these people. 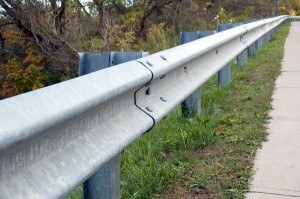 The ET-Plus, which mounts onto the end of a guardrail, is meant to help slow a crashing vehicle. Drivers allege in more than a dozen lawsuits that a modified version of the product locks up on impact, spearing through cars instead of cushioning their blow. The subpoena also covers that device’s predecessor, the ET-2000, according to the company. Christina DiIorio-Sterling, a spokeswoman for Ortiz, said she couldn’t confirm or deny the existence of an investigation. In October, a Texas jury in a whistleblower lawsuit found that Dallas-based Trinity had defrauded the U.S. government by making revisions to the ET-Plus in 2005 without telling the FHWA. One day after the verdict, the FHWA required Trinity to conduct a fresh round of crash testing on the ET-Plus. In March, the safety agency announced that the ET-Plus had passed the tests. Trinity has said that the ET-Plus is a “robust” system that performs as designed “when properly installed and maintained.” The company has suspended shipments of the system and will consider potentially resuming them after the FHWA completes another safety review. Earlier this week, at least two lawsuits were filed on behalf of Trinity shareholders in federal court in Dallas. 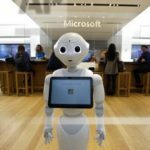 The suits accuse the company of failing to disclose that it made changes to the ET-Plus without government review, thereby misleading investors and violating federal securities laws. Trinity believes the suits are “without merit and intends to vigorously defend against all allegations,” according to the regulatory filing. Jeff Eller, a Trinity spokesman, said in an e-mail that it “would not be proper” to comment on the shareholder suits at this time. Categories: National NewsTopics: defective guardrails, ET-Plus guardrails, Trinity Industries Inc.